The truth is that the Turnbull government has given up on its Paris commitments. However, this means that there cannot be any certainty for business, the energy industry and citizens generally, because such a policy vacuum is simply not viable. Tony Wood from the Grattan Institute says the states should support the NEG, and jack up the emissions target later. 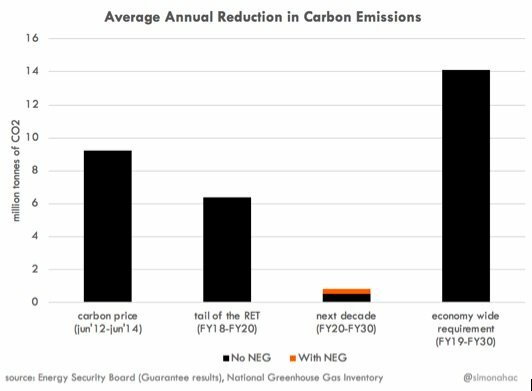 Wood says the NEG is simple, not complex. That probably means Danny Price, Bruce Mountain, Giles Parkinson and others would say he doesn’t understand it. If you read Parkinson, he quotes ESB chair making so many contradictory statements, she couldn’t understand it either. Bill Shorten takes a simple view too. 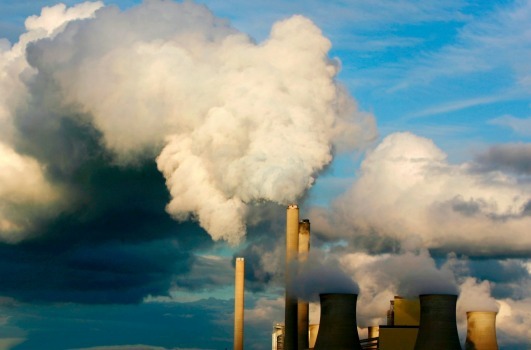 Phillip Coorey reports Bill Shorten calls for states and feds to do deal on NEG. Labor has indicated it will support the framework, but will amend the targets in the parliament to 45%. There is a fair chance Labor could get the vote in the Senate, but no chance it would pass the HoR. Hence the states are right, I think, in wanting to see some formal commitment to climate change mitigation from this government. Given their record of interference and a NEG policy that looks as though it is designed to stop renewable energy in its tracks and leave the door open for coal, with resources minister Matt Canavan openly inviting the Japanese to invest in new coal, the states have every right not to trust the Turnbull government. Professor Mark Hoffman is dean of engineering at the UNSW Sydney, and Justine Jarvinen is chief operating officer at the UNSW Energy Institute. UNSW is a world leader in solar photovoltaic research and applications having developed several major breakthrough discoveries. They have written an interesting opinion piece in the AFR – NEG is good first step on road to cheap, reliable renewables. We know there is room for renewables in the NEG as a policy framework but there is an absence of comprehensive strategy to ensure renewables form the basis of achieving meaningful emissions reduction, and energy reliability and affordability. Australia is a world leader in renewables. Our storage technology, pumped hydro capability and the ancillary industries related to renewables, including the lithium, cobalt and nickel extraction sectors, will all benefit if we embrace an energy framework that provides more certainty than we now have for renewables. So, let’s create a system that reduces emissions, embraces low-cost renewables, encourages investment and enables a “smart” grid to shift power to when and where it is needed so it is affordable and reliable using our world leading technologies. 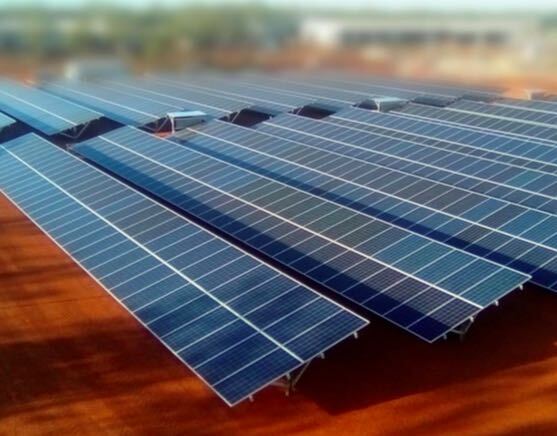 the detailed study undertaken by the Australian Energy Market Operator, which actually modeled targets of the type that Labor are proposing, and found that even a grid with more than 60 per cent renewables by 2030 won’t have reliability issues. He’s talking about AEMO’s Integrated System Plan for the NEM, which did not consider the NEG because it was not then established policy, but showed how we could get to 60% by 2030 while reducing prices. 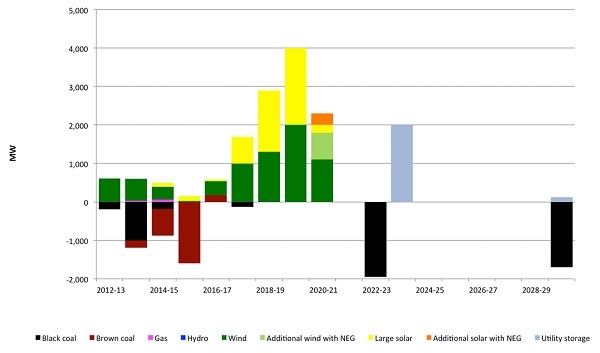 Parkinson draws attention to energy analyst Hugh Saddler’s fascinating analysis on the differences between AEMO’s Integrated System Plan and the NEG at The Australia Institute. Cheaper, better by far, but it involves doing actual planning, reverse auctions and such, rather than setting a framework and hoping the market does the business. Urgently, but it needs planning across the generation, transmission and distribution sectors. Yep, solar towers have similar characteristics to relatively small coal fired generators because they use the heat in the molten salt to drive steam powered generators. The heat storage used is cheap and they can reliably can be boosted by the use of molten salt back-up heaters. Because of all these things they can replace fossil fueled baseload power with renewable base load power. Concentrated solar thermal (CST) technology has similar characteristics to gas-fired generator technology. CST can start-up from cold, and ramp up and down much faster than coal-fired generators (even the smaller ones) – that’s ‘dispatchability’. Adequate molten salt thermal storage provides endurance. Larger heliostat arrays provide faster energy collection to replenish thermal storage. Dispersal of CST (and other renewable) generators over a wide geographical area, linked by strong interconnectors provides network resilience. CST provides “spinning inertia”, like coal-fired generators do. The heat storage used is cheap and they can reliably can be boosted by the use of molten salt back-up heaters. Molten salt back-up heaters involve combustion – that needs to be limited – we need to stop burning things where-ever possible. 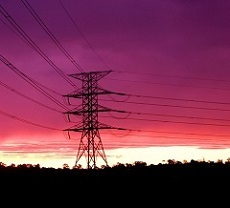 A mix of renewable technologies is required for an overall resilient, reliable electricity network system. No one technology will do the entire job. Solar-PV can be complementary to CST. Quiggin has a nifty post Can the electricity system be fixed?